Diana Brown has been hired as a new attorney at Birmingham-based Transitions Legal a full service family law firm. In her new role, she will be responsible for guiding clients in exiting a marriage with the least amount of disruption to both spouses and kids. 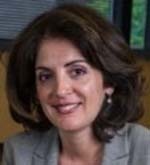 Brown, of West Bloomfield, has more than two decades of experience in divorce and family law. She has handled hundreds of divorce cases and post-judgment matters as a litigator in court and as a legal research and writing attorney. Most recently, she has served as a divorce consultant through her firm, Strategic Divorce Consulting. She has provided legal consulting services and professional referrals at no cost for clients throughout the divorce process. She has also helped clients select the right attorney, educate them on how avoid mistakes, and create a strategic plan for their cases. Brown earned a bachelor of arts from the University of Michigan and a Juris Doctor degree from University of Detroit Mercy School of Law.